We all knew that a clock, a guitar or a piano often need tuning in order to function properly. But, how many of us actually knew that there is the potential to ‘tune’ our brain and become mentally…faster? Nowadays, scientists agree that lack of activity puts the brain to sleep mode. On the contrary, when we keep our brain in shape it does not betray us. The solutions they propose in order to sharpen our mind are simple and approachable for everyone. Learning how to play a musical instrument or learning a second language, systematic physical activity, meditation and travelling are a few activities that can keep our brain in shape. However, if these activities are too expensive for our budget we shouldn’t be so quickly disappointed. There are more affordable options, which are as effective as those mentioned previously. Reading about something that catches our interest (i.e. jazz music), daily updating through newspapers and magazines, watching a theatrical play or a movie, participating in an educational seminar, crossword or Sudoku solving, online memory and strategy games, even the frequent changes in the route we follow from house to work can have extremely beneficial outcomes on our brain. In this way, gradually and within a few months we will observe that our concentration ability will have improved, our reflective speed to stimuli will have increased and possibly our memory will have become sharper. The secret is to start our pursuit with new activities, with things that we have never done before. For every single thing we do, our brain creates ‘paths’ (cell connections), through which information proceeds. So, it is considered that every time we begin something new, the brain is forced to create new ‘paths’ in order to facilitate the information circulation. Recent studies indicate that the brain can also create new cells so as to learn something new and difficult. By extension, the acquisition of new procedures could reinforce the brain and protect it against various forms of dementia. Daily routine has nothing to offer to brain cells. The different kinds of hobbies we take up for a long period of time after a while are no longer a mental activity. For example, if someone has been solving crosswords for the past 20 years, that activity has stopped being considered as training for the brain. However, the same thing does not apply to reading, which is to the brain what exercise is to the body. When reading we don’t function mechanically, since there aren’t any specific answers, as with the crossword, which we know by heart. Quite the opposite, we are on constant alertness, because we put effort to stay focused to the book’s story and to comprehend what we are reading about. Research has shown that those who exercise regularly not only do they improve their physical condition, but their mental one as well. Physical activity offers protection to the brain vessels and it also fortifies them against different kinds of dementia. Besides, exercising is a way to release the stress and tension, which are by nature negative factors for our health. Specialists suggest exercising 3 times a week, with a duration ranging from 30’ to 45’. Be careful with intense exercise, because excessive pressure of your body is not good for brain function. Online searches besides being a useful tool for our work are also a form of brain exercise. Specialists from the University of California in Los Angeles have observed that the frequent ‘surfing’ can prevent the development of dementia; while at the same time improves the function of parts of the brain associated with memory. We can take advantage of the Internet for one extra reason as well. There are many online mental exercise programs which are designed so as to train mental functions and they include a series of memory, speech, comprehension and logic exercise in the form of games. The difficulty level varies according to the age and performance of the user. In reality many of these programs are scientifically based, since they have been designed by research groups in the health sector. Correct organization is beneficial to the brain. In fact, in order to be better organized, we should use a notepad or post-it notes on obvious places, where we can note down what we have to do during a day or a week. They prevent our memory from getting lazy. On the contrary, they release the brain from the need to hold on to details and information for long time periods (i.e. meeting times, addresses, birthday dates) and allow it to focus on more important issues like editing and organizing the vast number of information we are bombarded with on a daily basis. Nutrition plays a vital role to the proper function of our brain, and it regulates our mood, but also our performance, on our daily activities. Adjusting our nutrition to the Mediterranean model we minimize the risk of developing dementia. So, we have to make sure that we consume foods that are rich in: Poly-unsaturated Ω-3 fats, Vitamins of B-complex, Carbohydrates, Amino-acids. Brain cells need necessarily water in order to function. According to scientific findings, even the slightest dehydration has negative impacts on mental functions. It can make the ability to concentrate difficult, block memory, even increase the reflective time to visual stimuli, especially when it comes to older people. Hunger diets that forbid the consumption of vital foods deprive the body, and as a consequence the brain, from a large number of vitamins, trace elements and other nutrients and as a result they make us feel exhausted. If we need to lose weight, it would be a good idea to consult with a nutritionist in order for him to design a balanced diet that would be suited to our needs. This way, we will not only have permanent results but at the same time we will not put our mind at risk. Besides the daily routine, mentioned above, much damage is caused to brain function by a lot of harmful habits most of us have. 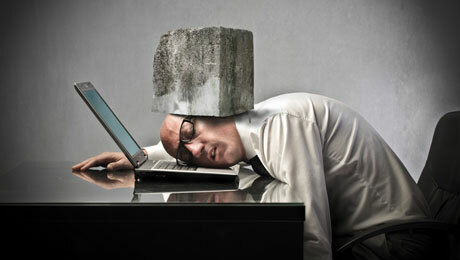 Chronic stress: The high level of stress hormones has a bad effect on brain cells. On the contrary, a small dose can lead to greater performance and better organization of our activities. Lack of sleep: Sleep is necessary for the process of learning. Its lack can lead to failure to concentrate or even to temporary memory loss. It is also possible that problems may occur from bad sleep quality. Depression: It is a direct risk for the development of dementia. In any case, medical observation and treatment is necessary. Cell phone usage: Specialists advise that we should use the cell phone only by using a Bluetooth, because its radiation can harm brain cells. Too much TV: Research has shown that long hours of watching TV puts our mnemonic skills at sleep. Smoking: It causes contraction and insufficient haematosis of brain vessels. Dozens of chemical substances released during its burning can cause microangiopathy. Systematic alcohol consumption: It suppresses the function of the nervous system and affects brain functions (judgment, organizing skill). Boredom and loneliness: They are considered enemies of memory, speech and thought. A person, who lives alone, has no interests and their life is dull, is most likely to present a gradual attenuation of their mental functions. On the contrary, intense social life seems to assist to the preservation of mental functions to good levels. Negative thoughts: Our emotional state affects our brain’s health. Pessimism, lack of self-confidence and the feeling of incompetence are negative feelings that disorganize the brain and especially memory.